Majority, if not all, mobile phone owners these would do something to customize their respective devices to look the way they wanted. This is especially true when you own a new smartphone like #Apple’s latest flagship device – the iPhone 7 (#iPhone7). In this content, I have demonstrated various methods that will help you in customizing and personalizing your new iPhone either for aesthetics or other reasons. You may refer to this guide should you need further assistance in working with Apps, folders, wallpapers, and other widgets that would make your iPhone Home screen and Lock screen look as you desire. Read on to learn more on how to make your Home screen look at its best. 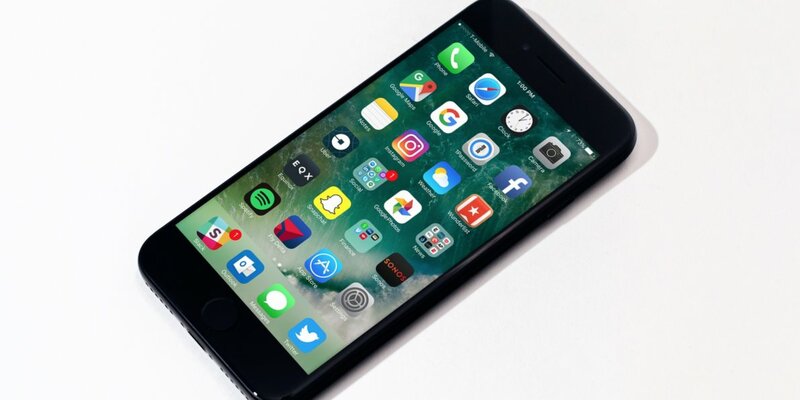 But before you jump into any of these topics, if you have issues with your iPhone 7, then make sure you visit our troubleshooting page for we have already addressed many of the most common issues with this device. Find problems that are similar with yours and use the solutions we suggested. If they don’t work or if you need further assistance, then feel free contact us by using our iPhone issues questionnaire. Just give us information and we’ll give you solutions. Touch and hold any app on the Home screen. When you see the app icons jiggle, drag an app to move it to a desired place. To move an app to a different Home screen, just drag the app to the edge of the current screen. Alternatively, you can drag it to the Dock located beneath the screen. However, you will also need to remove another app first for you to move a new app on it. Once you’re done arranging your apps, press the Home key to save your arrangement. You can create a new Home screen while arranging app shortcuts or icons. To do so, just drag an app shortcut to the right edge of the last Home screen. You will know how many Home screens you have with the dots showing above the Dock. You can also use these dots to determine which Home screen you are viewing. Tap the option to Reset Home Screen Layout. Your Home screen and apps will then return to their original layout. All folders you have created are also removed in the process. The original wallpaper is restored and the downloaded apps are placed after all built-in apps in your iPhone. Touch and hold an app on the Home screen. When you see the app icons jiggle, tap the X button located in the upper-right corner of the screen. Do the same steps, when removing other apps. When you’re done removing apps, press the Home button to complete the action. Be sure to touch and hold the app you want to remove lightly until it jiggles. If it does not jiggle, make sure you are not pressing it too hard. You can also remove some built-in Apple apps from your iPhone Home screen including Calculator, Calendar, Compass, Contacts, FaceTime, Find My Friends, Home, iBooks, iCloudDrive, iTunes Store, Mail, Maps, Music, News, Notes, Podcasts, Reminders, Stocks, Tips, Videos, Voice Memos, Watch, and Weather. All these built-in apps can be removed from the Home screen if your iPhone is running on the iOS 10 platform. What happens when you remove a built-in app from your Home screen? If you remove the Calculator app, you won’t be able to see the calculator in the Control Center. If you remove the Stocks or Weather app, stocks and weather information will no longer be available in the Notification Center and elsewhere. If you remove Contacts app from your Home screen, all of your contact information can be access through the Phone app. If you remove FaceTime app from your Home screen, FaceTime calls can be made or receive through Contacts and Phone apps. If you remove iBooks, Maps, Music, or Podcast apps, they will no longer be available to use with CarPlay. If you remove the Watch app from your Home screen and your iPhone is connected with an Apple Watch, you will be prompted with an alert message, asking you to unpair your Apple Watch before you can proceed to remove the app. In case you want to restore an app you removed, just head on to the App Store, search for the app you want to restore, and then tap the Download icon. Wait for the app to restore and then open it from your Home screen. Restoring a built-in app can also restore any affected functionality that started to manifest after removing the app. While arranging apps, drag one app onto another. Tap the name of the folder, to change or rename it accordingly. Drag apps into or out of the folder. When you are finish, press the Home key. You can have multiple pages of apps inside a single folder. To delete unnecessary folders, just drag out all of the apps. Once the folder is empty, it will be deleted automatically. You can personalize your iPhone and make it appear as desired by configuring the wallpaper settings. With the wallpaper settings, you can set an image or photo as wallpaper for the Lock screen or Home screen. You can select from dynamic or still images, depending on your preference. You can also select your own image and set it as wallpaper. To do so, just pinch to zoom in on your selected image, and then drag your finger to move the image. To zoom back out, just pinch closed. When selecting an image for new wallpaper, you may be able to tap Perspective to set your wallpaper to move every time when you change the angle you view the screen. To enable the Perspective function for the wallpaper you already set, go to your iPhone Settings-> Wallpaper, then tap the image of the Home screen or Lock screen. You won’t be able to see the Perspective option if the Reduce Motion option under Accessibility settings is enabled. If that is the case, then you have to disable Reduce Motion beforehand. Live Screen Wallpapers are cooler to look than still ones. And you can try this with your new iPhone. Follow these steps to set a live or moving image as wallpaper for the Lock screen of your iPhone. These steps are also applicable to other devices with 3D Touch support. You can also set any of your own Live Photos as the wallpaper for your iPhone Lock screen. To do so, just select one from any of your folders under Photos. To play the Live Photo when you’re on the Lock screen, just press the 3D Touch. Important Note: Dynamic or moving wallpapers are also among the factors that can affect your iPhone’s battery life as they may drain your iPhone’s power quicker. Another way to adjust the screen brightness is through the Control Center. Auto-Brightness – If the Auto-Brightness option is enabled, your iPhone adjust the screen brightness for current light conditions using the built-in ambient light sensor. Night Shift – This option can be accessed through Settings-> Display & Brightness-> Night Shift. Alternatively, you can turn open the Control Center to turn on Night Shift. You can enable Night Shift manually and set it to activate only when you are in a darkened room during the day or schedule it to turn on automatically. When set to automatically turn on, your iPhone display will automatically switch to Night Shift view from sunset to sunrise. To determine when it’s night time for you, your iPhone uses the data from your clock as well as your geo-location. If you want to adjust the color balance for Night Shift, just head on to Settings-> Display & Brightness-> Night Shift, and then drag the slider to the warmer or cooler end of the spectrum, as you would prefer. Tap View located below Display Zoom. Tap Set to apply changes to your iPhone display. You can also access and use other Zoom features under Accessibility settings. Just go to Settings-> General-> Accessibility, and then turn Zoom on or off. Alternatively, you can set up and use Accessibility Shortcut to adjust these settings. To do so, go to Settings-> General-> Accessibility-> Accessibility Shortcut, then select the features you use the most. Among the options include VoiceOver, Zoom, Assistive Touch, Switch Control, Magnifier, and more. Another way to use Accessibility Shortcut is by triple-clicking the Home key of your iPhone. Be sure to slow down the double-click or triple-click speed for the Home button. You can configure this option, by going to Settings-> General-> Accessibility-> Home Button. Some applications are designed to extend the functionality of your iPhone. It may appear as a sharing option, action option, a widget in Today View, a file provider, or a custom keyboard. One good example of how app extensions work is when you download Pinterest and then Pinterest becomes another option available for sharing when you click on the Sharing icon. You can use app extensions to edit a photo or video within your Photos app. You can also download and install a photo-related app that allows you to apply filters to images. Enabling and disabling of sharing or action options can be done by tapping on the Share With icon, then tap More. You may need to drag options to the left if necessary. To manage and organize sharing or action options, tap the Share With icon, tap More. Again, if necessary, drag options to the left. To rearrange your options, touch and drag the Menu icon that is represented by a three-horizontal line image. Open the app and follow the onscreen instructions. If you encounter any problem or errors while attempting to customize apps, folders, and widgets on your iPhone 7 Home screen and Lock screen, take note of the error prompts or codes as they are important clues to tell you what exactly when wrong and from there will have a hint on how to have it resolved.